As an evaluator for BARE International, you become a valuable part of providing game-changing insights to our clients. You can have an impact on how our clients provide customer service and make business decisions. The same ethical standards we uphold when designing, implementing, and analyzing research strategies for our clients also applies to you as one of our evaluators. We strive to create opportunities as worthwhile to you as your work is to us. I have worked with many other mystery shopping companies, but BARE sets the gold standard in the industry. Thank you for providing a company that I am proud to say I contract with. Earn with our transparent evaluation system that helps you improve your work and ensures fair, democratic scheduling. Learning more about interesting products and brands is fun, and helping companies make a difference is truly rewarding. With competition increasing daily, you’ll be a valuable asset to companies looking to improve customer experience. BARE ensures reasonable compensation and maintains secure and accurate financial control systems. Enjoy less stringent validation processes and full control over dates, deadlines, payments and workload. BARE has a solid industry reputation and is known for its credibility, stability, and variety of opportunities. Please be aware of possible email scams pretending to be BARE International. All evaluators for BARE International must be registered and would never receive prepayment for services. All payments are via PayPal, live check or direct deposit; Cashier Checks appearing to come from BARE are a sign of a scam. Further, all legitimate BARE International emails end with @bareinternational.com. We appreciate you alerting us to any possible scam so we can take action immediately! What if I encounter a scam? If you are contacted by Facebook, LinkedIn or other social media, report the scammer directly to the social media outlet so they will remove them. These agencies have successfully caught and prosecuted scammers performing this scam before, so reporting them does help! A mystery shopper, or mystery evaluator, is an independent contractor who gathers data to assists our clients with making important decisions to move their business. A typical project involves the evaluation of one of our client’s businesses through in-person visits, telephone calls, web-based inquiries, or other means by serving as a typical customer/guest. Typically, the evaluator provides his/her objective feedback about the service provided and overall customer experience Information may be gathered around knowledge of products and services, the location’s overall cleanliness and condition and product availability. Each project is different because BARE International’s clients all have different needs, and BARE International designs unique programs to meet them. When given a specific project, the evaluator receives a briefing on that particular client’s goals and objectives, including any special requirements the client has communicated to us. How can I become a mystery shop evaluator? To become an evaluator, you must be 21 years of age or older in the United States, or 18 years of age or older outside of the United States. You must also have established yourself as independent contractor in order to be eligible to perform BARE International projects. To accomplish this, we first recommend that you obtain a tax ID number from the IRS. You may either create a business or simply use your own name. The process is simple, fast, and free. By establishing yourself as an independent contractor in this manner, you represent that you are working for yourself and therefore able to market your services to any other mystery shopping companies you desire. Once you establish your independent business, register your services with BARE International’s website by signing up as an evaluator in order to receive notices about upcoming opportunities. To register with BARE, complete the online registration and agree to BARE’s working relationship terms and conditions. You will be self-employed as an independent contractor thus, if you earn over $600 in one year you will receive a 1099 at year end for filing of taxes. No. There are no fees to register your services with BARE. In fact, if you see offers from other organizations stating that there is a fee to sign up before you are able to get mystery shopping assignments, BEWARE. You and your services are valuable and you should be compensated for providing them, not the other way around. This is not an accepted or standard practice for legitimate companies like BARE. 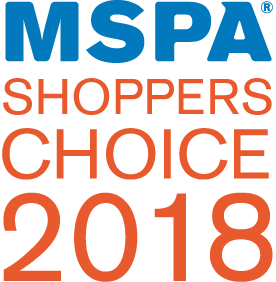 We encourage you to sign up for and to work with companies that are part of the Mystery Shopping Providers Association (MSPA). How soon can I start conducting evaluations? As soon as your registration is complete, you can log in to our online portal, APOLLO, to complete BARE basics testing and to check the Job Board for any available projects. Be aware that projects usually have firm deadlines, so be sure to read all the details before applying or registering to do projects that interest you. Be sure to keep your address, banking information (if receiving electronic payment) and contact information up-to-date in your shopper profile. Not doing so may cause delay in you receiving payment or prevent us from being able to contact you regarding shop report questions. DO NOT make updates to details such as birthdate and gender. This will deactivate your account. Where will I be doing evaluations? Our clients represent a wide range of industries and locations with needs across the USA and globally. It is likely you will find opportunities near you. As an independent contractor, you control where and how often you complete assignments. How would I find out about opportunities? You can search the Job Board in APOLLO by zip code, state, and country to find the most up-to-date listing of opportunities all over the world. You may also elect to receive Project Offer Emails in your Evaluator Profile to receive email alerts about available projects in your area. Do consider white listing emails from @bareinternational.com as they are sometimes blocked as spam. If I offer to do a project, how long does it take to get a response? We process offers for projects on a daily basis. You should receive a confirmation via email within 48 hours or so if your bid was accepted. Check your email often! Additionally, check your MY APPS and Shopper Log to ensure you do not miss any interesting shops. How many projects can I have at one time? As an independent contractor, this is really up to you. We always communicate to you what our clients expect in terms of quality of reports and project timeliness. It is your responsibility to estimate workloads and assess the amount of work that is feasible for you to perform. Please remember that if your performance does not meet the client’s expectations for a particular project, we reserve the right to enlist another evaluator. This can affect your compensation, so only taking on projects with standards that you can reasonably perform is key. If I commit to a project but have an unexpected emergency, what should I do? Contact the Project Manager in charge of that project as soon as possible so that BARE can locate another evaluator to take your place. How do I know who my project manager is? The project manager’s name and contact details can be found on the email notification received when a shop has been assigned. Your project manager is also located on the shopper guidelines. Their contact details are important as you may need to reach out to them for clarification of expectations or to revise a shop date. These details are also found on the shop comments in your shop log and in the project briefing document attached to your assignment. Be aware that projects managers work Monday through Friday regular business hours eastern standard time. What do I do to prepare for an evaluation? You will receive an acceptance email once a shop has been assigned telling you the shop report is in your log. Log in to review the project briefing document and to take any project specific quiz and to review the form. If required, enter a shop planning date. If you have any questions, or need further clarification, reach out right away to the project manager to get answers. Project managers will reply to you during regular business hours Monday through Friday, generally 8:00 am – 4:30 pm eastern standard time. What do I do if I have a problem off hours, or on the weekend? Read the Guidelines in full and review the form itself as soon as you get an assignment, so you can contact the PM with questions during business hours. If the unforeseen happens, however, during non-business hours, leave the project manager a voicemail or send an email to ensure they can address the situation right away. Do your best to make decisions that do not compromise your identity as a mystery shopper. Who do I contact in off hours? In the US, contact BARE’s corporate office at 1.800.296.6699. Do you rate the performance of evaluators? We rate your work on each project as it comes in on a scale from 1 to 10, with 10 being the highest, against the expectations of the client and BARE. Items such as timeliness, completeness, accuracy of information, responsiveness, grammar, among other things determine which evaluators we can count on to deliver the best product for our clients. Evaluators who consistently produce high quality work are in the highest demand and will be chosen to participate in projects more frequently than evaluators whose work receives average or below average ratings. How much will I be paid for my work? BARE pays out a wide range of fees for projects performed by evaluators. Fees vary per project depending on the scope, difficulty, and time commitment involved. Fees are communicated to the evaluator community via the job board before an evaluator offers to complete a project. Earnings are therefore under the control of the individual evaluator. Additionally, some projects allow for a purchase reimbursement. If this is the case, the maximum reimbursement amount allowable will be part of the job posting. How long does it take to be paid my fees? U.S.: Fees for services performed and reimbursement for allowable expenses will be distributed by mailed paper check or electronic payment on approximately the 16th of the month following the month in which projects were properly completed and received according to project requirements. Please note that the maximum allowable electronic payment is $500.00. For amounts that exceed that, a mailed paper check will be issued. Evaluators who opt for mailed paper checks should allow sufficient time for the postal service to deliver from Virginia (3-14 business days is recommended depending on your location). CANADA: Fees for services performed and reimbursement for allowable expenses will be distributed by mailed paper check on approximately the 16th of the month following the month in which projects were properly completed and received according to project requirements. Evaluators for mailed paper checks should allow sufficient time for the postal service to deliver from Virginia (3-14 business days is recommended depending on your location). If you are expecting a mailed paper check and do not receive it after waiting sufficient time, please report the lost check to us as soon as possible at by sending an email to payoutinquiry@bareinternational.com within 90 days of the date you were expecting it. If you believe your check has been lost in the mail, it can be re-issued right away for a $30 stop-payment fee (usually deducted from the reissued check), or you may opt to wait for the check to become invalid (six months) and it will be reissued to you with no fee. We regret we are unable to investigate payment issues that are more than 90 days old. We would like to remind you that we have an electronic payment option available that avoids all possibility of paper checks being lost in the mail. To enroll in electronic payments, please go to the “Additional Information” section in your evaluator profile and enter the information for the bank account you would like to use to receive your payments. Your account information is highly secure and is used for no other reason than to make payment. Please ensure that you have completed your Evaluator Profile and remember to keep it updated in the event that any of the information changes. ALL OTHER COUNTRIES: Fees for services performed and reimbursement for allowable expenses will be distributed by bank transfer or other method (whichever is deemed to be the most cost effective and efficient method) on approximately the 25th of the month following the month in which projects were properly completed and received according to project requirements. Please ensure that you have completed the Payment Details section of your Extended Shopper Profile and remember to keep it updated in the event that any of the information changes. FOR ALL PAYMENT TRANSACTIONS – As a courtesy, a notification of payment is sent to the email address on record in the Evaluator Profile. This notification lists the specific projects(s) included in the payment and the amount of fees and/or reimbursements paid. This notification should be checked carefully and any discrepancies reported as soon as possible. If you have any questions about payment for the individual projects listed, please contact your Project Manager. If you have any questions about the payment transaction itself, please contact the appropriate individual mentioned in the email. For all payments, the deadline is 90 days from the date of issue (or date of expected receipt) to report any discrepancies. We regret we are unable to investigate payment issues that are more than 90 days old. Want to be an Evaluator? Join our force of more than 500,000 evaluators worldwide.